The snack contains undeclared soy. Affected Real Vege Crunch Beetroot & Carrot snacks have date markings Best Before: 23 SEP 2017 and 09 NOV 2017. 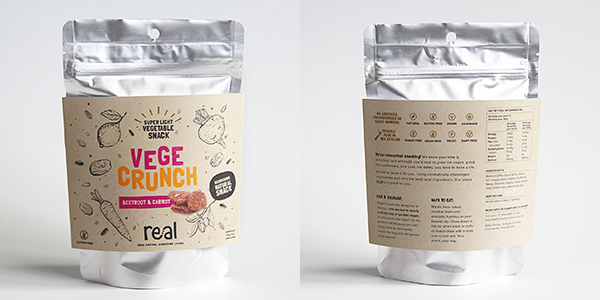 The product is sold in a 40g resealable pouch in retail outlets in Queenstown, throughout the North Island and online. Check the date marking printed on the label located on the back of the pouch. People with a soy allergy or intolerance should not consume this product. If you have consumed this product and have any concerns about your health, seek medical advice. If you are not allergic or intolerant to soy, this recall does not affect you. For more information, contact Real Kitchen on 07 866 6962.